The parties! The galas! The food! Soooo much food. The Embarcadero towers are a-twinkle. Visions of sugarplums dance through our heads along with thoughts of all the other mouth watering delectables bound to turn up at holiday soirees. The Season of Excess is upon us. Excess for many, but not all. An estimated 1/4 of San Francisco's population struggles to feed themselves and their families on a daily basis. 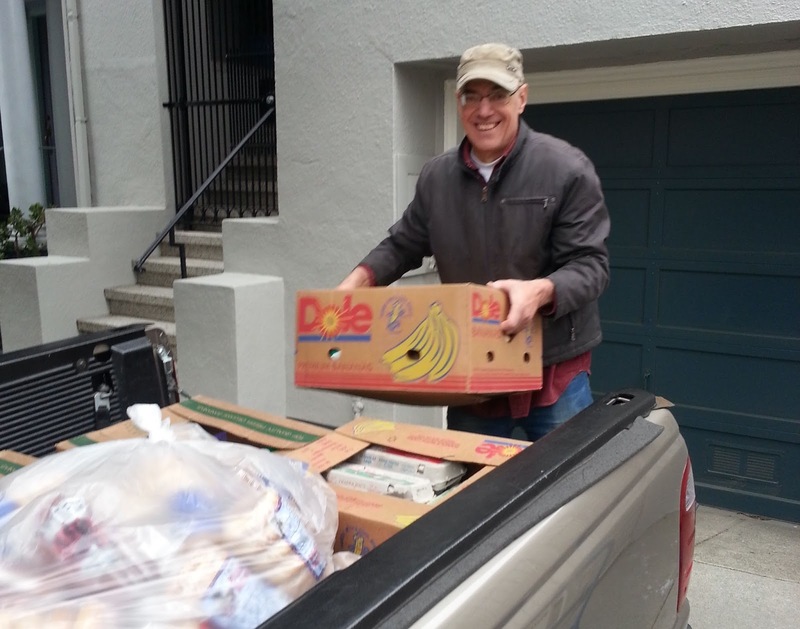 That's approximately 190,000 San Franciscans facing the threat of hunger regularly. It 's not The Season of Excess for them. That's where Food Runners comes in because The Season of Excess is also The Season of Giving. Donations roll in at greater than normal volume during the holidays when those in need often feel the pinch the most. 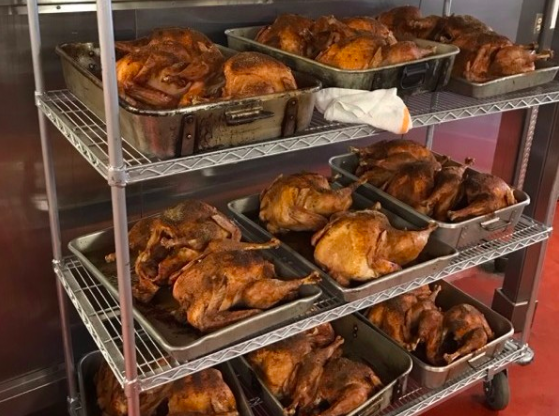 Donations like the 60+ frozen turkeys from Related on the Monday before Thanksgiving. Donations like the delicious array of cakes, pies and other baked goods donated annually on Thanksgiving Eve and Christmas Eve by Noe Valley Bakery. Especially needed by soup kitchens serving holiday meals. 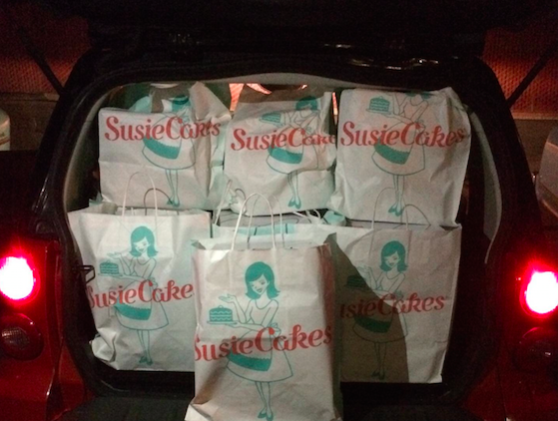 Donations like Thanksgiving pies and cookies from SusieCakes, picked up by Volunteer Kim H. and her son Max. Delivered to and much appreciated by the veterans residing at Veteran's Academy in the Presidio. "Max and I have been doing the SusieCakes Thanksgiving Eve run for the past four years, Kim states. "It's become a meaningful part of our Thanksgiving ritual. I'm already signed up for next year!" Tim's turkeys cooling and awaiting transport by Volunteer Karyn S.
Donations like an entire Thanksgiving Dinner for 700, complete with all the fixings, lovingly prepared by Chef Tim Stewart of McCall’s Catering. Chef Tim prepares the meal at McCall's commissary kitchen in the Potrero area. 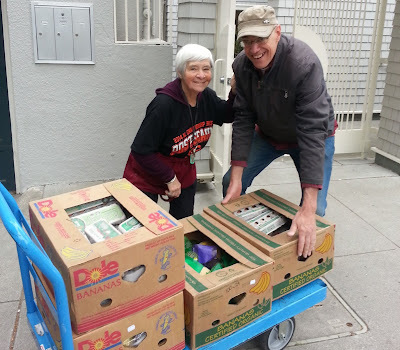 Food Runners volunteer Karyn S. then picks up the dinner from Tim for delivery to Fraternite Notre Dame in the Tenderloin. This takes several trips. Despite having moved to Southern California this past summer, Karyn was on the job, traveling north especially for her cherished Thanksgiving tradition a la Food Runners. Want to join the important mission? There are many ways to donate to Food Runners during the holiday season. 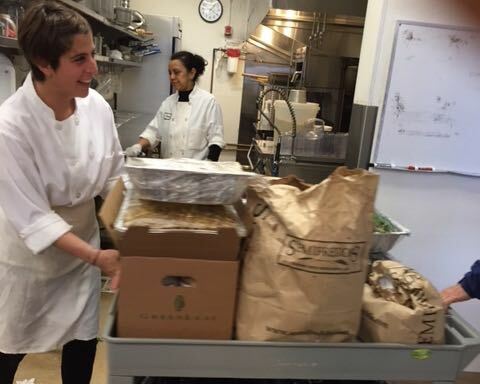 Become a Food Runners Volunteer. Donate food. Although Food Runners does not pick up from private homes, we will happily direct you to an agency in your area serving those in need. Over the bridges and through the hills, to holiday feasts we go... Do you know what's happening to the leftovers at the all the dinners and parties you'll be attending this season? Tell the host/caterer/event coordinator about Food Runners. Give the gift of food to those who need it most. It means so much. Food Runners is such an amazing group, staffed by an incredible group of dedicated people and aided by a corps of countless Volunteers scurrying around the city on their missions of picking up and delivering food to those in need. I am always impressed by how helpful and welcoming the folks are where we make pickups, and then overwhelmed by the welcome and abounding sense of appreciation from those we deliver the food to. Be it excess candy from a local school program after Halloween to baked goods from Arizmendi (yum) to salads and wraps from Haight St. Market, the faces of those we serve is enough to brighten anyone’s day. Food Runners delivers every Saturday morning to this program serving a hot meal for over 200 people who struggle with food insecurity. 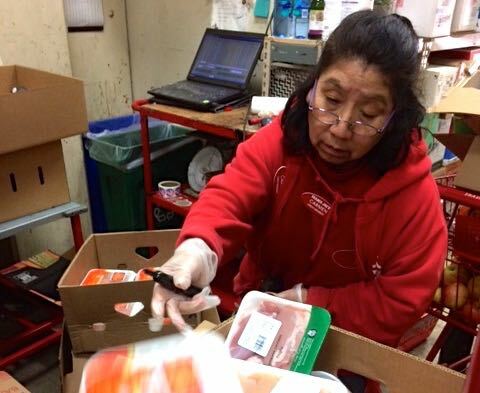 Food Runners has been delivering to this program for almost 20 years. 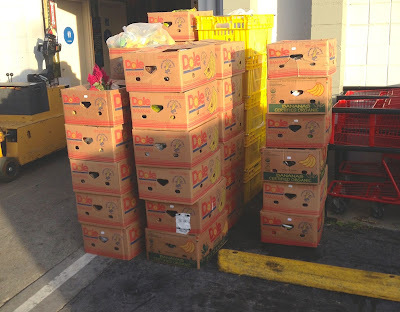 “From fresh fruits and vegetables to canned foods to bread and rice, each client receives much needed, nutritious foods that they otherwise cannot afford. All Saints’ makes a special effort to provide foods that can be used by those without permanent homes or cooking facilities, since they are part of the clientele we serve.” Lisa Sappington, Saturday Meal Coordinator. 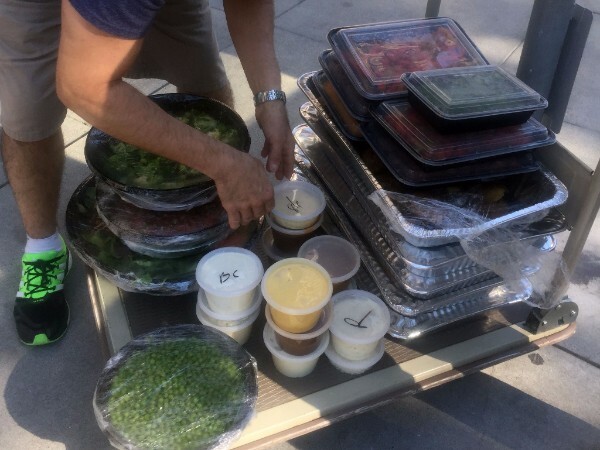 Food Runners delivers an adundance of food leftover form tech company lunches on Friday afternoons. The food is refrigerated overnight and served the following morning to the 250-300 people who come to shop at the pantry for free groceries. After filling their grocery bags, the clients can enjoy the benefit of a hot meal comprised of the food delivered by Food Runners. “We would not be able to serve a meal without Food Runners,” comments Jean Baker the pantry organizer. “For some of these people, ours will be the only hot meal they get all week. Thank you Food Runners. Especially for the meat. Everyone loves the meat." 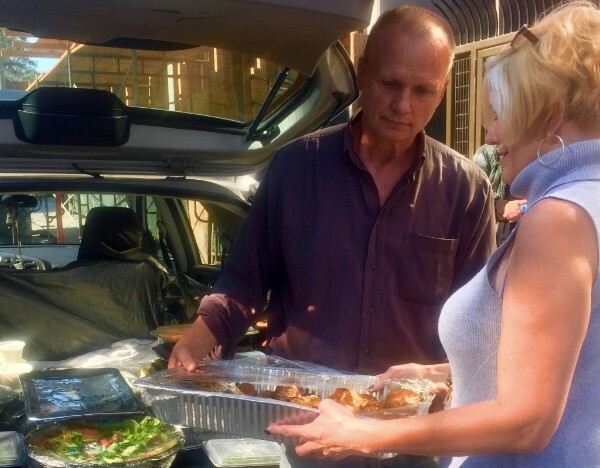 When the Lima Center’s long time volunteer cook retired recently, Food Runners was able to step in and provide prepared food for the Lima Center’s homeless ministry lunches served on Thursdays. “It has been so delightful to receive the donations from Food Runners,” says Sister Colleen who heads up the program. 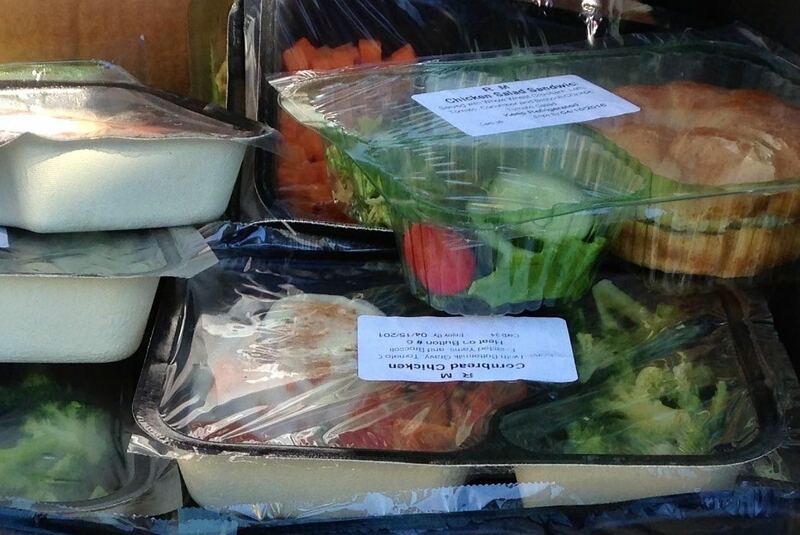 Food Runners delivers on the third Tuesday of every month. “Our Community Kitchen relies on the wonderful Food Runners program to provide a warm meal for up to 70 (and sometimes more!) 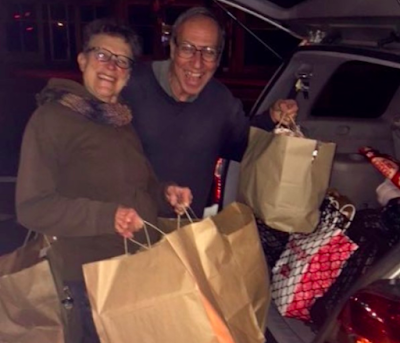 of our most in-need neighbors, who come in from the Mission district and throughout San Francisco, on the third Tuesday of every month,” states program coordinator and parishioner Christina Armatas. “Before we started using Food Runners, we struggled to provide enough quality food for the number of guest we received. Now that we have Food Runners, the variety and quality of the meal we provide is unparalleled, and we have more time to focus on welcoming our guests. It is so rewarding that with Food Runners' support, we have been able to create an environment that is more than a good meal but, a safe haven and fellowship community for those who need it most. We count our blessings with every delivery from Food Runners and look forward to our continued partnership for years to come! I’ve made more than 60 runs since I started with Food Runners five months ago. That makes me a beginner, so I can’t say I’m speaking from experience. My first ever delivery, was to Arriba Juntos, a community center in the Mission offering a range of programs for low-income and underserved children and parents in the area. Just one of more than 200 social service organizations, large and small, well-known and lesser-known, a panoply of human needs across the city. My runs are primarily in the eastern parts: Inner Mission, Potrero Hill, South of Market. Neighborhoods where those in need find sustenance and care, and a respite from the streets: seniors centers like Castro Senior Center, halfway houses like La Amistad, women’s shelters like A Woman's Place, mental health care like Dore Clinic, veterans support like Veteran's Commons, immigration counseling like Valencia Community Center, a part of Dolores Street Community Services. Those “having a hard time getting by in society,” in the words of Patricia, the front desk clerk at the All Star Hotel, a 90-room SRO primarily for the homeless in the Mission. “If I didn’t have a job and a home to go to, I’d probably out on the street, acting crazy, too,” said Williams. So, what am I learning, driving around areas where homelessness looks to be reaching dystopian proportions? That there are an awful lot of people having an awfully hard time in one of the richest cities in the world. A lot of pain, a lot of people, more than I imagined. Hurting, damaged, physically and mentally, remaining for much of society out of sight and out of mind. Not, however, to those on the front lines, providing care, sustenance and protection on a daily basis: the paid staff and volunteers, counselors and cooks at the places Food Runners delivers donated food to. To me, they are public servants in the truest sense of the term. And Food Runners’ 600 donors -- grocery stores like Whole Foods, bakeries like Noe Valley Bakery, catering companies like Knight's Catering, restaurants like Delfina, high-tech companies like LinkedIn and business offices like Charles Schwab Corporation -- with a flow of fresh fruit and vegetables, bread, milk, pastries, prepared meals, creating the first, critical link in the chain of assistance. 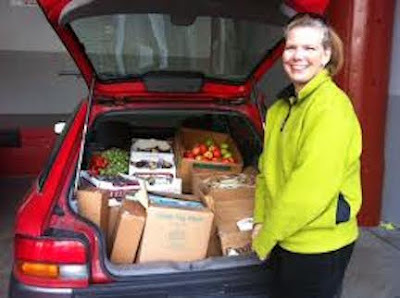 I became a Food Runners volunteer over 10 years ago. I heard a public service announcement about Food Runners on the radio and I thought this would be so much fun for my teenage daughter and I to do together as it was a requirement for high school students to do volunteer service. I also thought that this type of activity suited me perfectly as I grew up with a “waste not, want not” belief system. 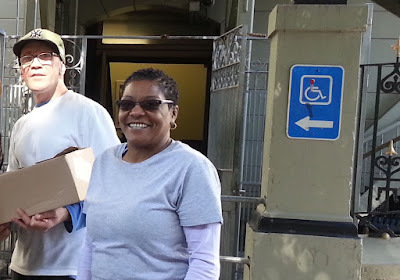 We did the runs together going to Green’s Restaurant at Fort Mason every Sunday and delivered the food to a variety of places such as women shelters, low-income apartment buildings and SRO’s. We were always greeted with warm Thank You’s and we both felt good afterwards. My daughter graduated and moved on, but I couldn’t put FoodRunners away. I travelled a lot for work so couldn’t have a “regular run” but I was happy to receive a call for a last minute pick-up and delivery in my other child Putt Putt (a 1990 Honda Civic Wagon). Friends visiting from out of town often came on runs with me and we had a great time! 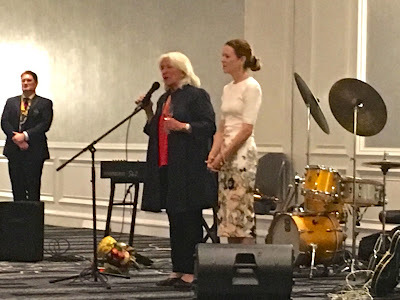 In addition, whenever I am at a luncheon meeting or dinner, I try to check in to see if they know about FoodRunners and what great work they do and how they could support them. Spread the word of sharing and caring! 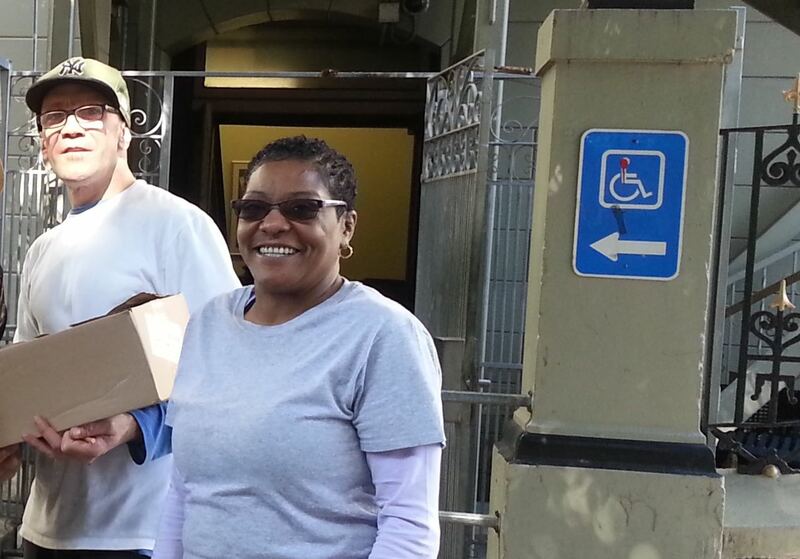 I recently retired from the San Francisco VA Medical Center after 34 years and have a little more time to volunteer. One of my most recent food runs involved picking up the food donations from a large grocery store and delivering them to HealthRIGHT 360's Walden House. HealthRIGHT 360, serves clients with mental health and substance use disorder issues at various residential and outpatient facilities throughout California. For over 50 years, Walden House has provided primary care, mental health, substance abuse disorder treatment, re-entry and supportive services to those who can least afford it. The President and Chief Executive Officer of HealthRIGHT 360 is Dr. Vitka Eisen. She is herself in long term recovery from substance use disorder. 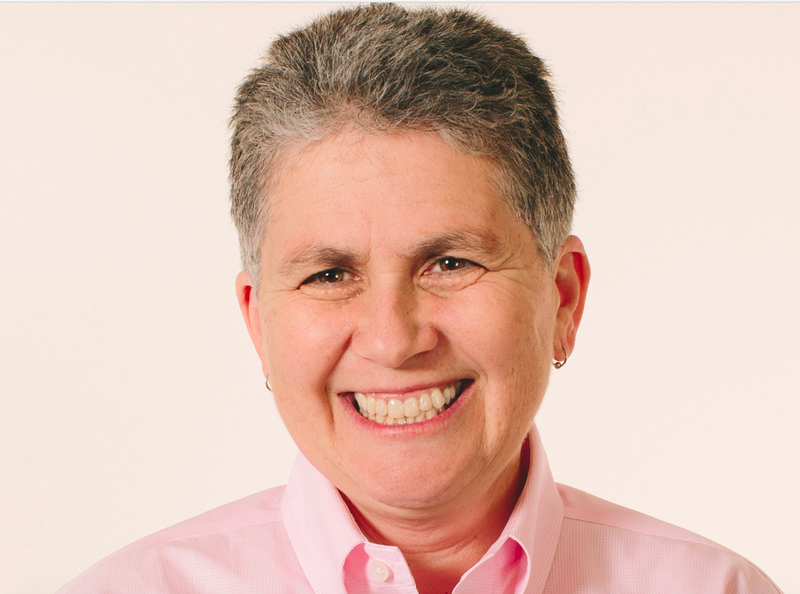 "I initially came to Walden House as a client in the mid-’80s. I was a heroin user." After graduating from the program in 1987, Dr. Eisen ran the high school at Walden House. Over the years, she has served in various capacities at Walden House from director of the prison treatment program, overseeing all of criminal justice programs, to chief operating officer for about five years before being named CEO in 2010. Dr. Eisen has grown the organization to serve over 36,000 people annually. In August 2017, HealthRIGHT 360 proudly opened its new Integrated Care Center on Mission Street. 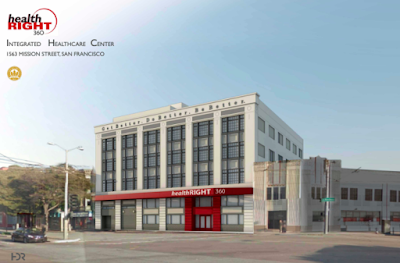 The Center provides a model capable of treating all San Franciscans but it is primarily designed to treat low-income patients, and homeless individuals who can be more difficult to reach. The spacious new Center allows clients to receive comprehensive treatment services under one roof. 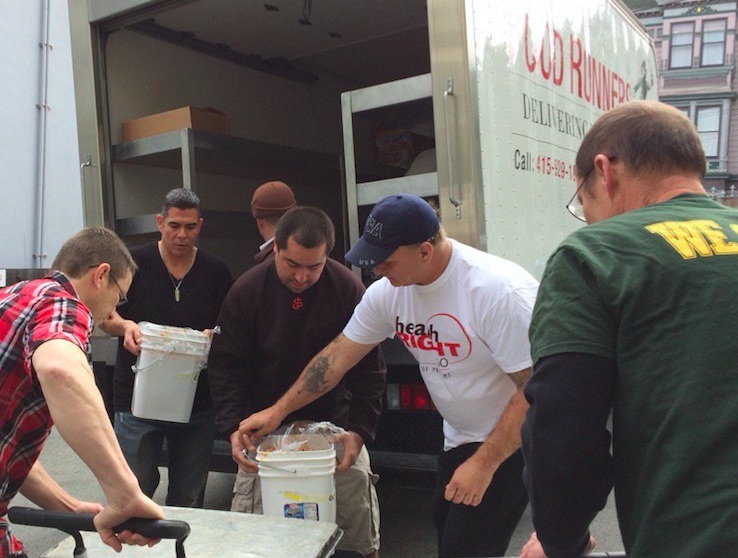 Having the opportunity to serve an organization like Walden House by the simple act of delivering food means so much. As I mentioned above, I am a believer in waste not, want not and although I cannot do much about the wanting of food, I can help to prevent the wasting of food! Thank you FoodRunners for all that you do and allowing me to be of service! Many consider the Bay Area Ground-Zero for the U.S. food movement. The combination of diversity in its population, agricultural and culinary offerings as well as innovation, and progressive culture, offer the ideal climate for a robust food system. Yet, for all its promise, San Francisco’s food system doesn’t work for all: one in four San Franciscans are food insecure, with twenty-three percent living at just twice the national poverty level. My own regular runs, one to tech firm Mode Analytics and one to Bon Appetit Management Company’s commissary kitchen, where meals for several tech firms are prepared and distributed, have been memorable. I like to corral one of my kids to go along with me, as food runs offer a host of valuable life lessons - learning to navigate the city, understanding who is providing (and donating food), and most importantly, understanding who needs it, and the impact of the donations. During the school year, we regularly brought food to the Jamestown Community Center after-school program in the Mission. Jamestown works to develop the potential of underserved youth. As a mother, I know how hungry kids are after school. I was happy to have my kids in tow, to engage with their peers, for whom dinner might just be the Food Runners donation. By Friday, as the work week winds down, Food Runners Volunteers are still busy taking prepared food donations food to Recipients like Casa Quezada, a program serving formerly homeless individuals with special needs. 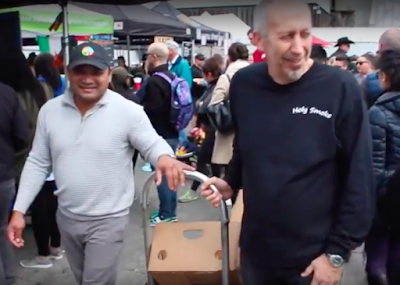 While donations are sometimes unpredictable in volume, they are always important supplements to the social service network in San Francisco. Food Runners continues to remind both its Volunteers and the larger San Francisco communities they engage that, for all its riches, San Francisco is a city where hunger is a daily reality for many residents. Until hunger ends, there is a role for Food Runners and its partners in San Francisco. Hello to all you fabulous Food Runners, clients and donors. My name is Tim Campbell and I’m a retired photographer from the National Park Service (San Francisco Maritime National Historical Park, specifically). I’ve been privileged to be a Food Runners volunteer now for about 6 months and I love it! Sacred Heart donations being loaded up. Now that the school year is finished, it might be a good time to look at the role of some of the schools that have established relationships with Food Runners. One example is the Schools of the Sacred Heart (Convent and Stuart Hall). The school’s food service is provided by the Epicurean Group and Food Runners contact is Chef Michael. Epicurean partners with local farmers and suppliers to serve healthy and locally sourced food for their meals. Additionally, Epicurean and Chef Michael also provide the food for Hamlin School which is located on Broadway here in the City and donates to Food Runners as well. Acre Gourmet is also well represented as a source of nutritious food. Emily, from Katherine Delmar Burke’s School, Cameron at Cathedral School and Marissa at Bay School are the respective contacts for Food Runners. 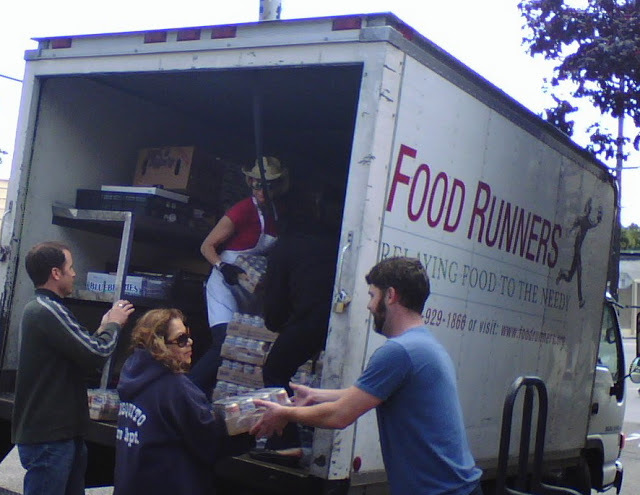 Lick Wilmerding High School, Director of Food Services, Solana Diaz started the Food Runners donation program herself and is very dedicated to the FR organization. St. Anne’s School in the Sunset District began a Food Runners donation program as a way to teach students about giving back to the community. Their donations provide food for Metropolitan Fresh Start House, a community-based program designed to assist homeless veterans. Food from school programs often go to other children’s programs. 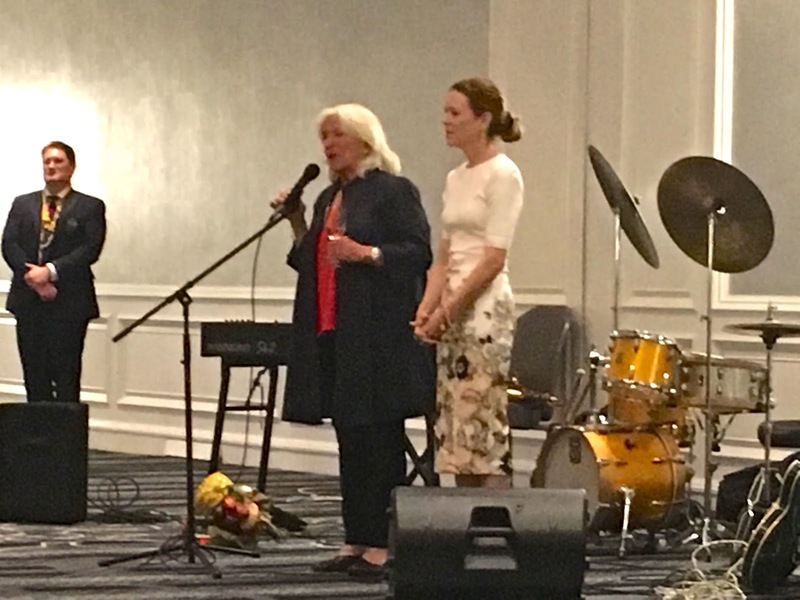 For example, food from Lick Wilmerding goes to the Edgewood Center which supports youth and their families through life’s challenges with a full range of behavioral health services. Food from Immaculate Conception Academy (which donates twice a week) is distributed to kids at St. Charles School while food from Sacred Heart Schools often finds its way to Back On Track. The Richmond District Neighborhood Center donates lots of fresh fruits and vegetables, among other things, to Argonne Elementary School, also located in the Richmond District. Food Runners celebrates its 30th Anniversary this year and we thank all the schools and school districts that have become such an integral part of our mission that, food that might otherwise be wasted, is instead used to nourish the community and its children. Once, the Hog Island Oyster Bar at the Ferry Building had huge sacks of leftover oysters to donate to Food Runners. 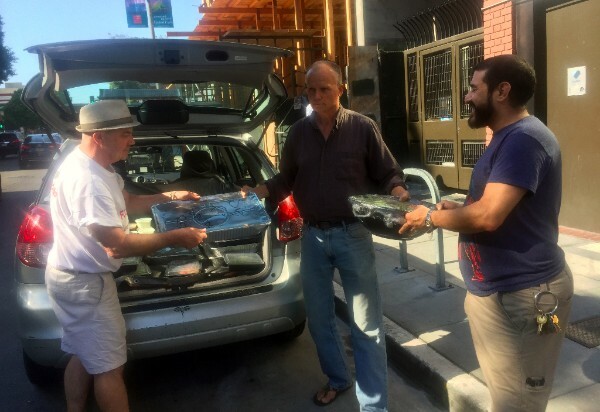 Knowing that he couldn’t deliver loads of raw oysters to shelters, Food Runners Volunteer Keith Goldstein automatically thought to distribute the oysters out to the farmers who had donated food to thank them for their generosity, and everyone enjoyed fresh oysters as a payment for their kindness. After moving from England, Keith got started in the US as a house painter, and ultimately built up his own construction company, Everest Waterproofing and Restoration Inc., which repairs historic buildings in the city and around the Bay Area. Keith and Seth met when Keith traveled to the Himalayas and hired Seth as a mountain guide. Years later, Seth got his green card, moved to the US and started working for Keith. Seth’s wife, who is from Kathmandu, joined him in the US five years ago, and they now live next to Keith in Potrero Hill with their two kids. 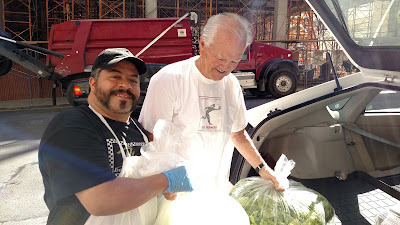 Keith, Seth and Frank have been a Food Runners volunteer team for over 20 years, taking the big Food Runners truck to the Ferry Building Farmers Market every Saturday. 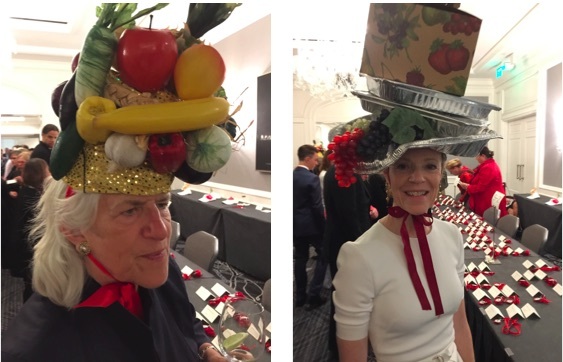 Before Keith was known for his signature “bring out your food” call, he went to a Taste of the Nation event and signed up to be a volunteer for Food Runners founder Mary Risley. A few weeks later Mary called him and said, “we got enough people to sit in committees, are you any good at picking up food?” He started running food by himself with one of his pickup trucks shortly after. One Saturday this month, I met with the guys and followed them as they circled the Farmers Market and picked up leftover food. What struck me was how happy the farmers were to see them — many of the farmers described them to me as family. After we picked up a good load of food, we drove it to the Hamilton Families Shelter Program in the Tenderloin, where the chef chose what he wanted to cook for the families staying at the program. From there, we traveled to Neighbor Bakehouse in Dogpatch, which was honestly one of the best bakeries I have ever been to (the owner gave me four different pastries to try, and each of them were incredible). The wonderful thing about riding with Seth and Keith was talking to them not only about Food Runners, but also about San Francisco and how it has changed, how to improve the city, our travels, and our families. That community feeling is what makes Food Runners the organization it is. A few years ago I was doing a story for KALW radio on San Francisco’s goal of Zero Waste by 2020. I discovered that one of the largest waste categories was food waste. It turns out that 40% of all food produced in the US is wasted. I had no idea. Shortly after that story aired, I started volunteering for Food Runners. At first I filled in on small runs, collecting donations from a small grocery in West Portal and delivering to a women’s safe house in the Sunset District. Eventually I started my Sunday morning pickups from Trader Joe’s on Masonic and Geary and delivering to the Haight Ashbury Food Program. 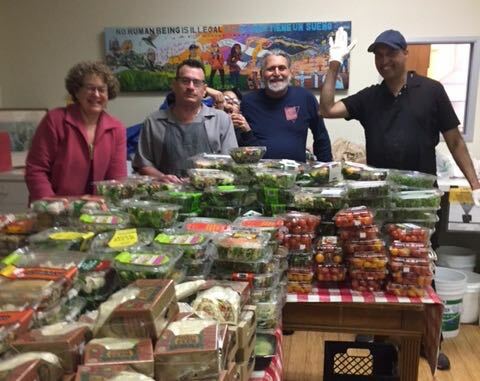 That Trader Joe’s location has been donating to Food Runners for 19 years. TJ’s donates everything from cases of blueberries and raspberries to leg of lamb and kosher brisket. 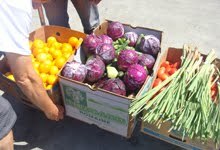 They also donate a lot of fresh fruits, eggs and vegetables as well as bread and cakes. Especially useful to folks that live on the streets are the wide variety packaged ready-made salads. Carmen at Trader Joe’s gets the donation ready for me every week and sorts them into cases to make it easy for me to fill my van to the brim. I can honestly say that my food run is definitely a highlight of my week. Needless to say, I feel major gratitude and joy in knowing that I can help out my community in such a needed way. THANK YOU FOOD RUNNERS!!! If you are looking to volunteer in your community I strongly encourage you to contact Nancy at Food Runners. You will be richly rewarded. Several years ago during a YMCA Presidio hike, I happened to have a chat with a woman who told me about Food Runners. I think I’ve seen her once since that conversation. But thanks to her, a random stranger, I have a satisfying volunteer job that exposes me to interesting people and their jobs as well as sending me to areas of the City that are not included in tourist agendas nor were they a part of my own normal City browsing. A couple of years ago, after some time as a fill-in, I began a regular run to the Kaiser Permanente Hospital on Geary Boulevard. Wow. 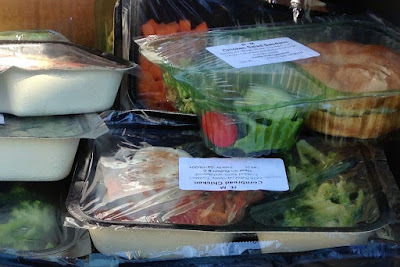 They had boxes of amazing and beautifully packaged food, ranging from desserts and breakfasts to dinners and lunches. All of this was food that they were required by hospital regulations to dispose of but was still perfectly good - and would be for several more days! OK, not gonna lie. One reason I agreed to this run was the easy parking spot. But, the donated food soon became my focus. It’s packaged in a way that makes it easy to consume - remember “TV dinners”? 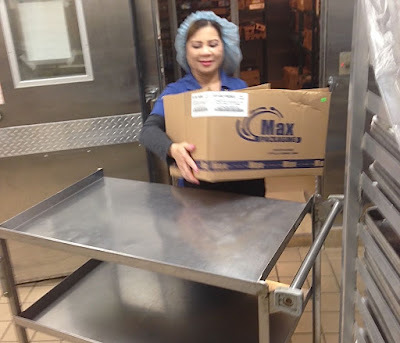 That also makes it easy to transport - especially thanks to the terrific Kaiser employees who pack them into boxes and truck them out to my car since, for safety reasons, only Kaiser employees are allowed access to the kitchen. Luckily, I have a Subaru Forester that provides plenty of flat space for all the donations. In the end, I knew that I was very privileged to be a part of the process that rescued all this food. Kaiser has been a Food Runners donor for over 15 years. What a great commitment! Recently I spoke to Priya Prabakar, Manager of Nutrition Services, about the motivation behind these donations and how she feels about Kaiser being an essential component of Food Runners’ mission. She shared with me that giving back to the community is very gratifying and important in all walks of life. 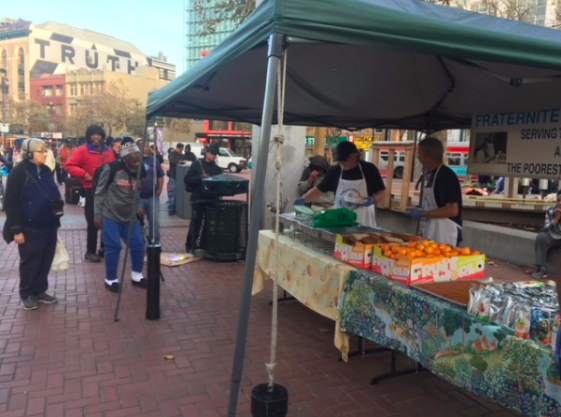 Avoiding food waste is a rewarding benefit all around, especially for San Francisco's large population of people in need, who are provided with a meal they might otherwise miss. This food contains the appropriate nutrients for many different diets - such as heart disease or diabetes - as well as a regular diet. It’s the Kaiser Nutrition Department's, way to ensure that good, nutritious food is not only used, but used in a community that has very limited access to nutrition. 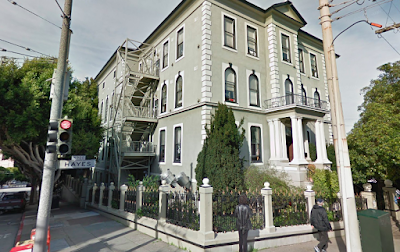 The Iroquois Hotel on O’Farrell Street receives Kaiser’s donations on Mondays. 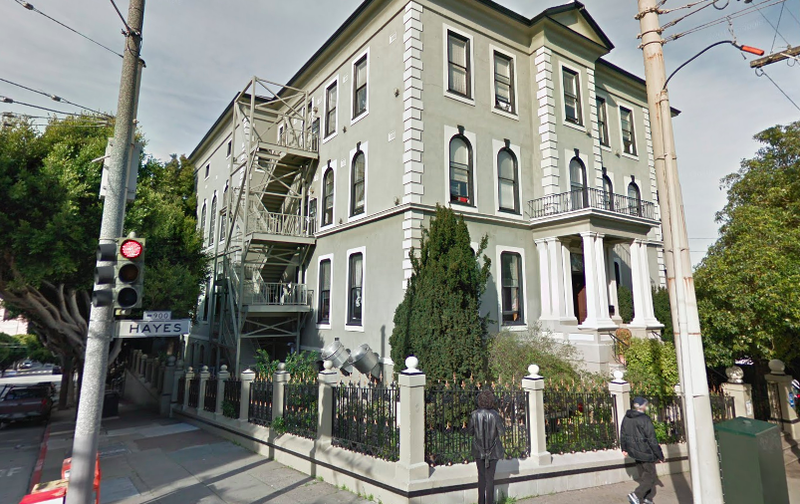 It’s a five story, historic (1913) building operated by the Community Housing Partnership. As an SRO, it provides 74 units for low income residents, so when multiple boxes of food are delivered, everyone benefits. I love the little verbal exchanges I have with a resident who helps to unload the food. I go away with a smile and so does he. It’s difficult to leave a small amount of food for a large number of people. But thanks to Kaiser Hospital, I don’t have to!